6.2 Information that we collect may be transferred to the following countries which do not have data protection laws equivalent to those in force in the European Economic Area: the United States of America, Japan, China. 14.1 This website is owned and operated by Evenley Wood Garden. 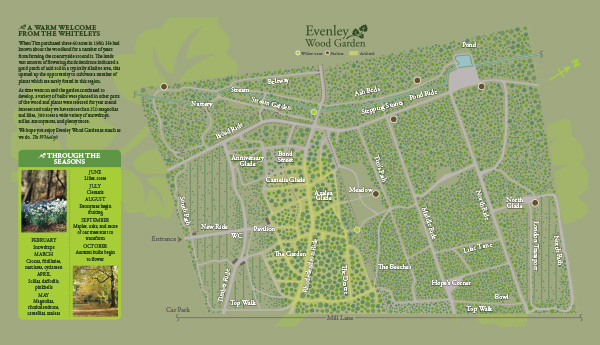 14.2 Our principal place of business is at Evenley Wood Garden, Evenley, Northamptonshire NN13 5SH. 14.3 You can contact us by writing to the business address given above, by email or by telephone.